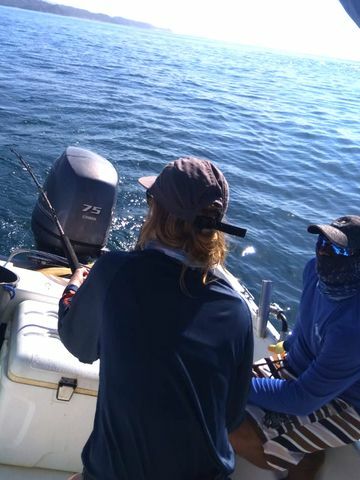 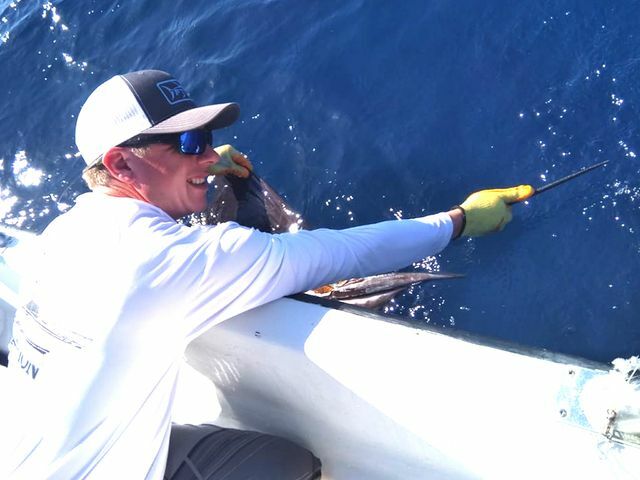 They he also nearly missed a Grand Slam on the Discoverer with this excellent Striped Marlin release backed up by a Sailfish release. 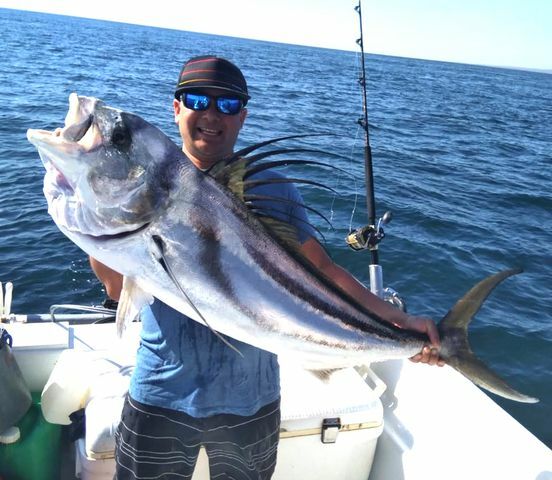 Great work by this fun-loving fisherman! 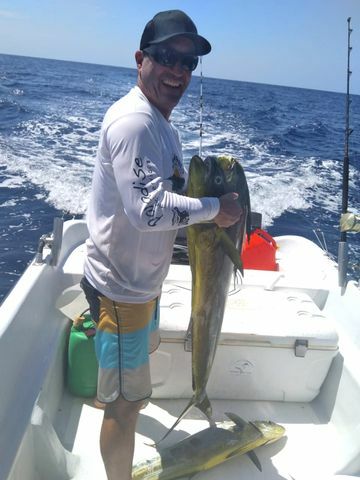 Captain Fico has earned his nickname of El Brujo (the witch) by conjuring big fish for his clients no matter the time or place. 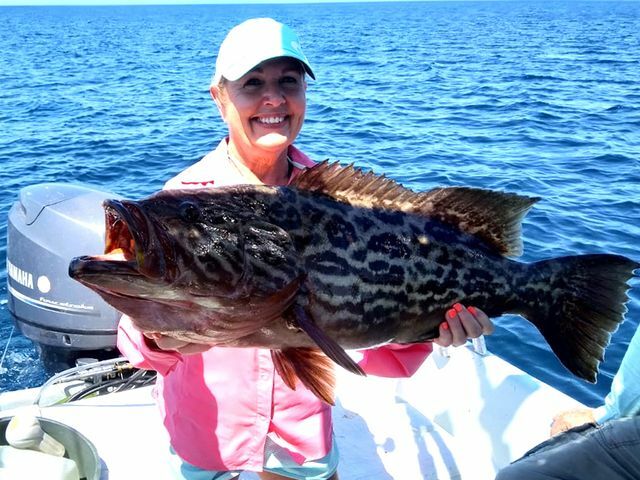 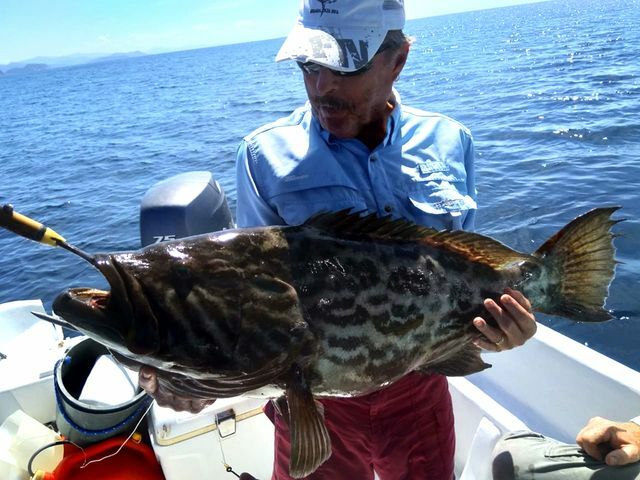 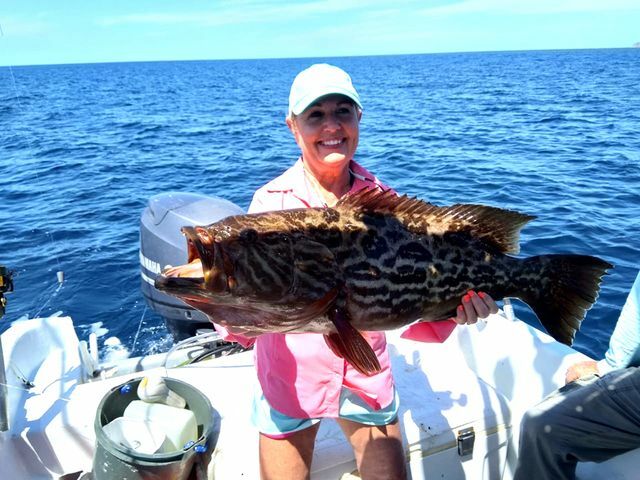 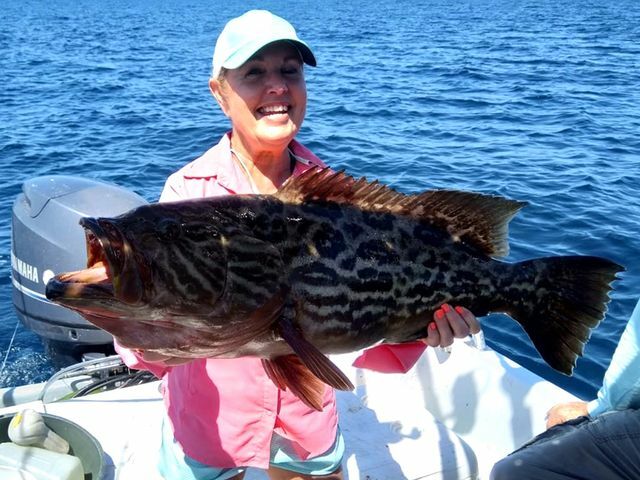 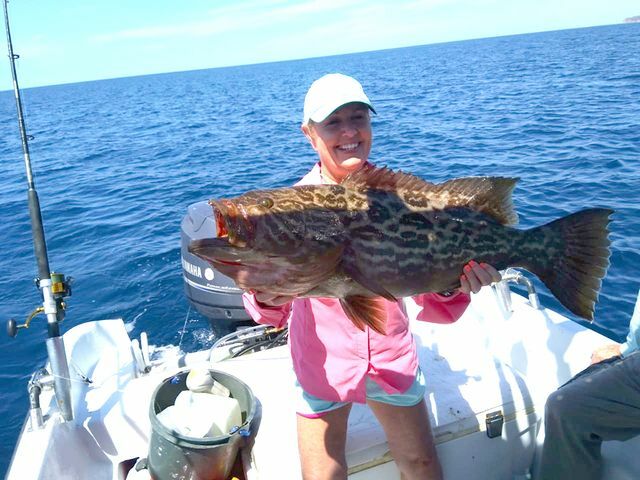 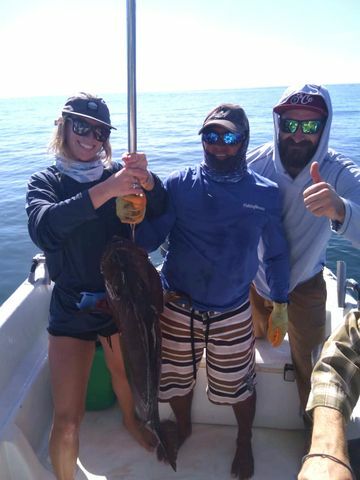 For example, check out the biggest Broomtail grouper of the last few seasons delivered by Fico in late February. 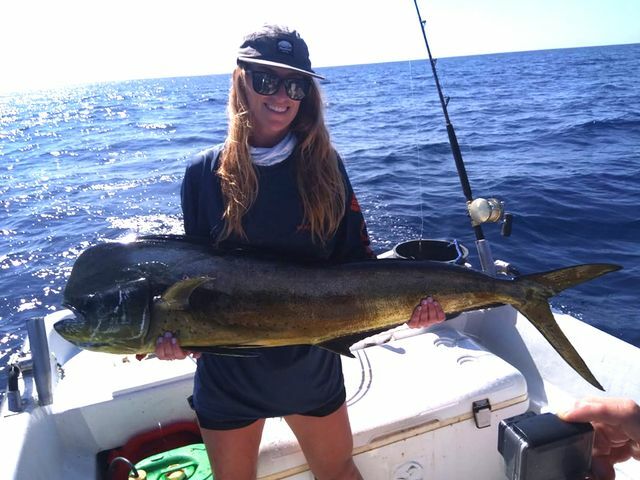 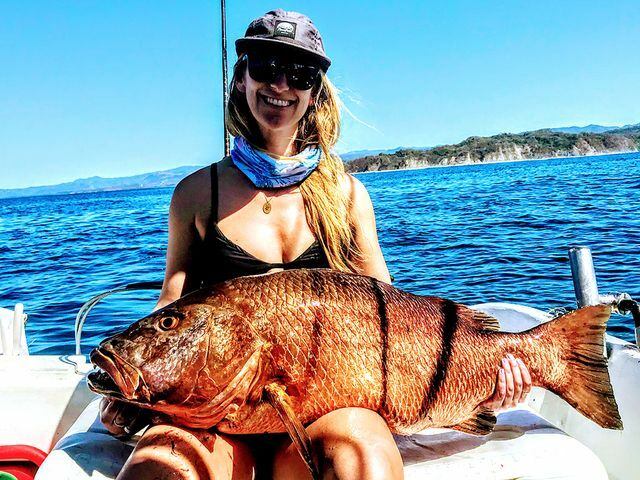 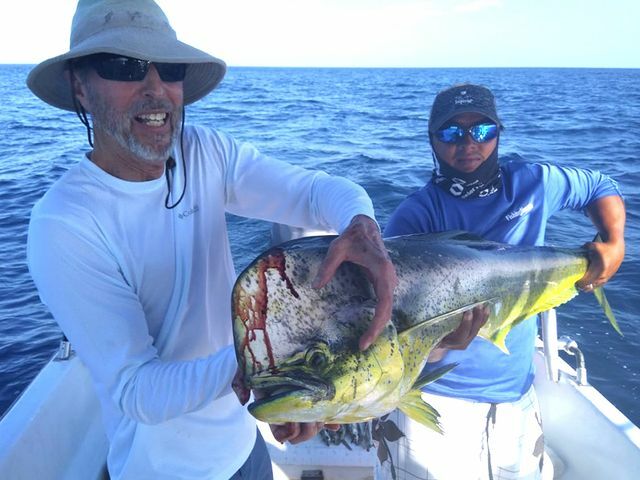 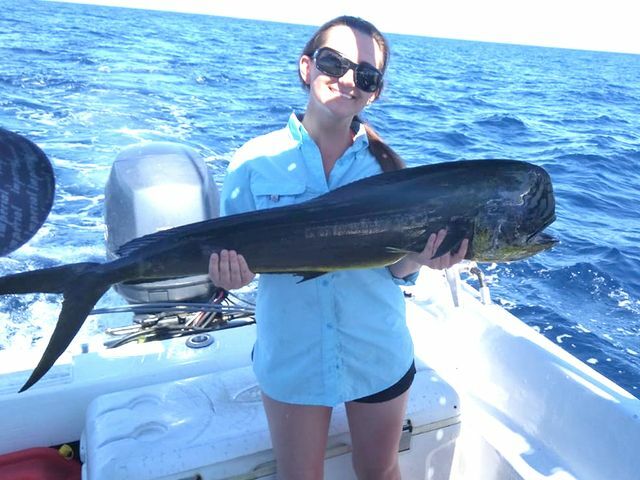 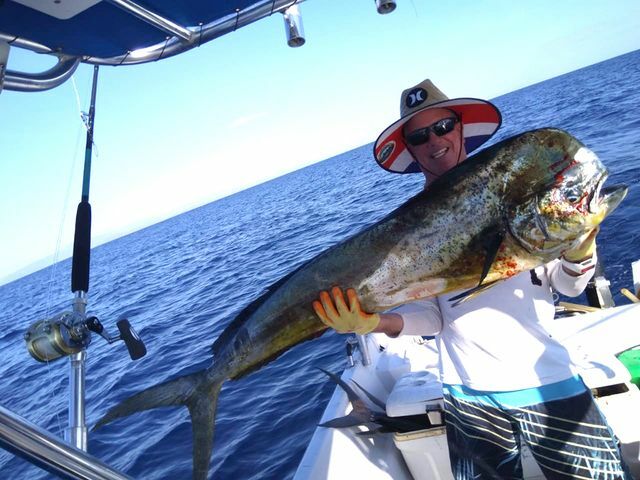 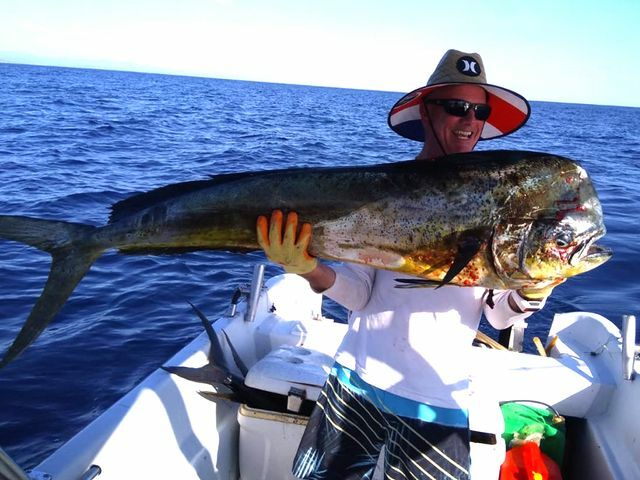 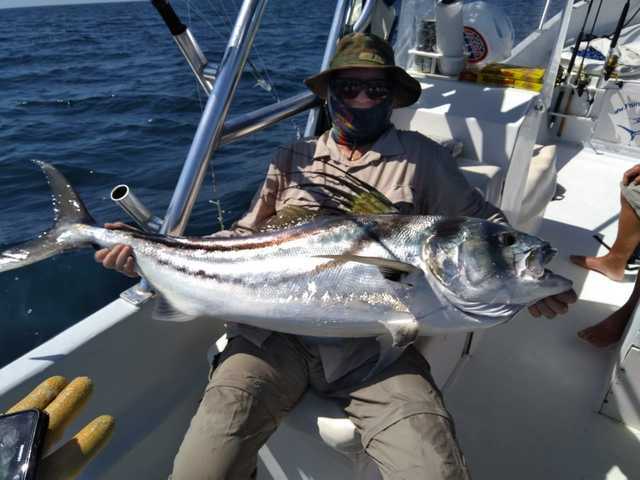 The Explorer has been casting spells on bottom fish all season and the clients are reaping the rewards. 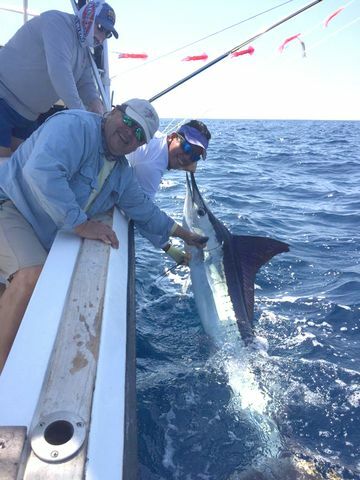 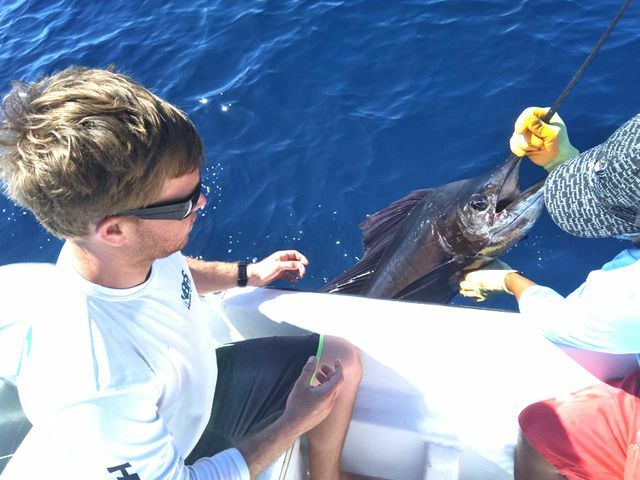 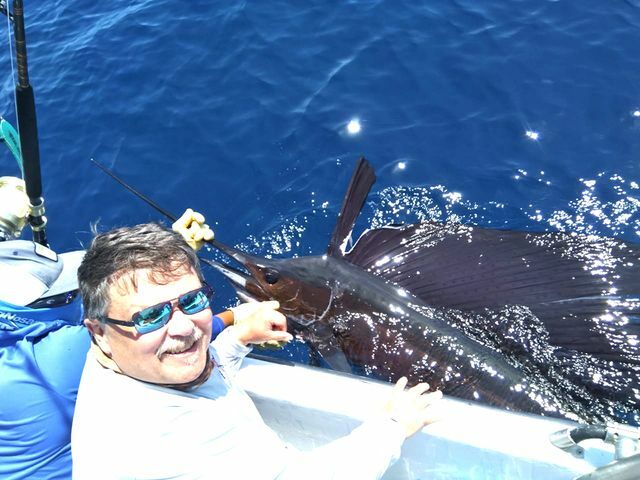 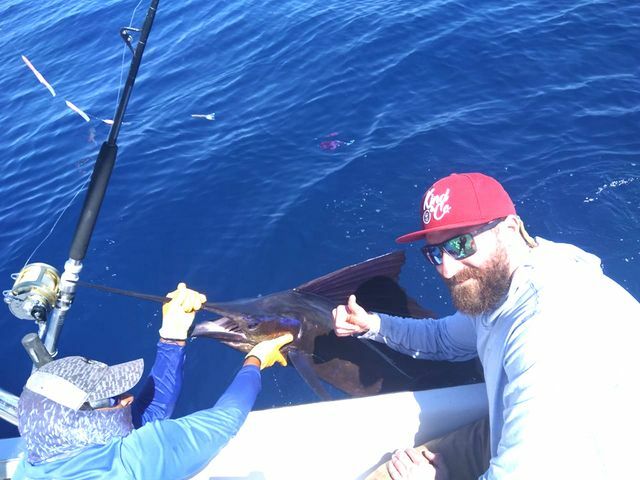 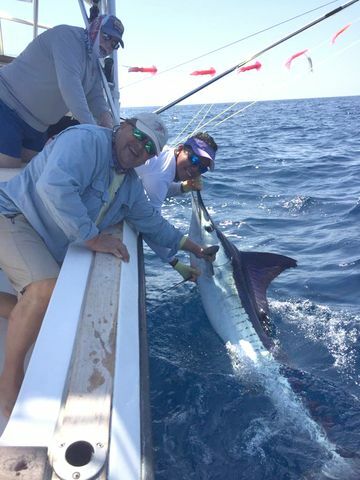 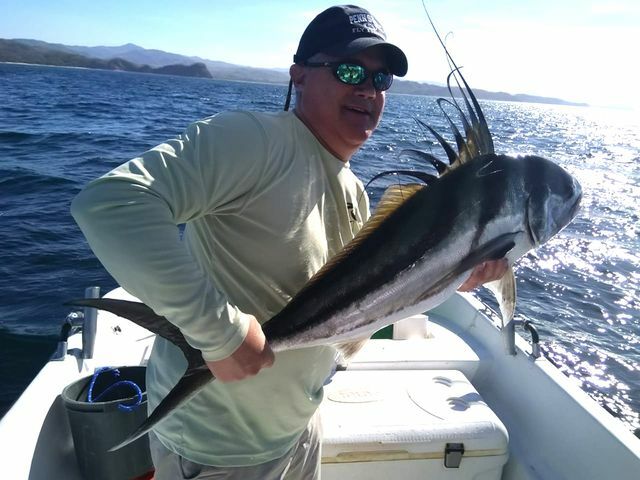 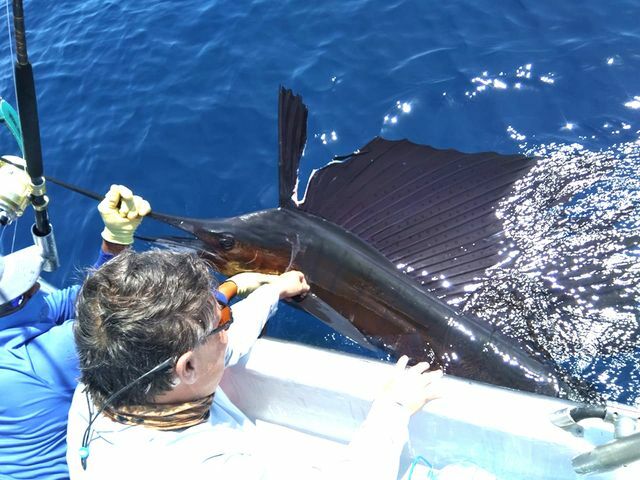 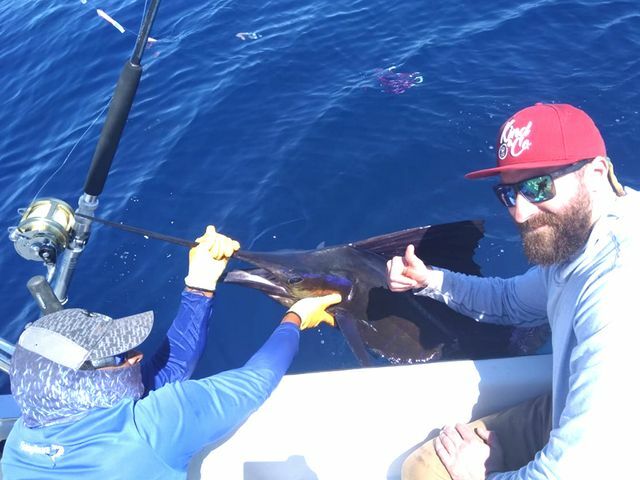 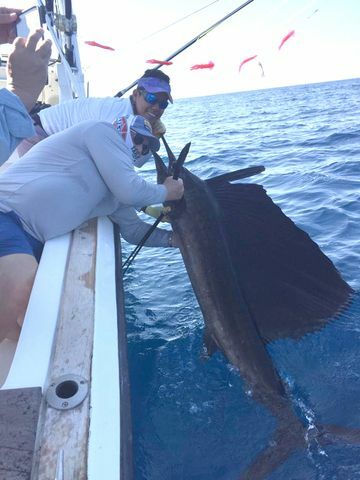 Mike Goins spend the 21st onboard the Explorer and despite a slow start, Captain Fico still reports this nice Sailfish release. 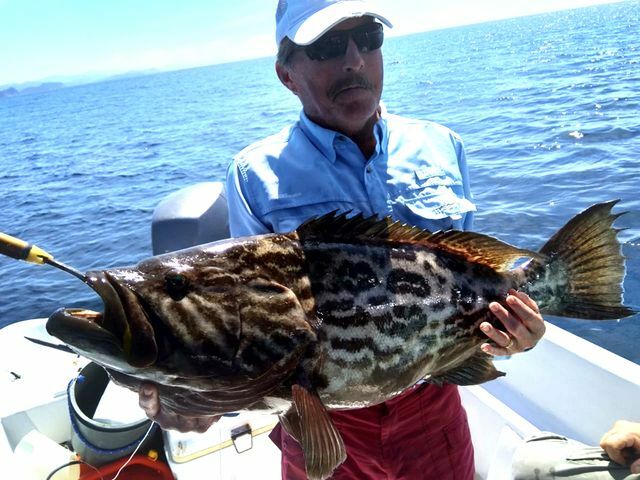 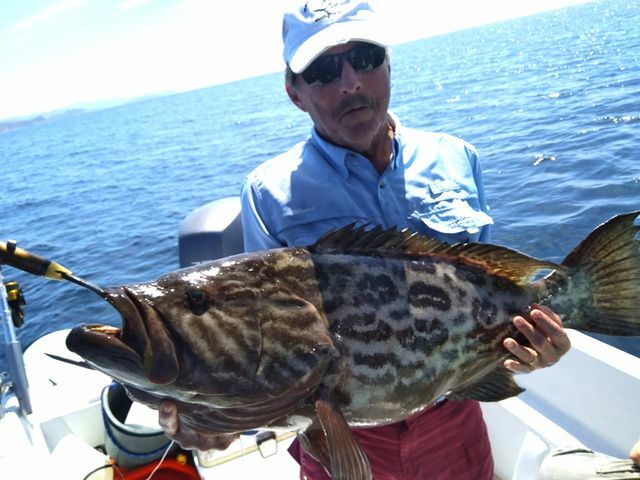 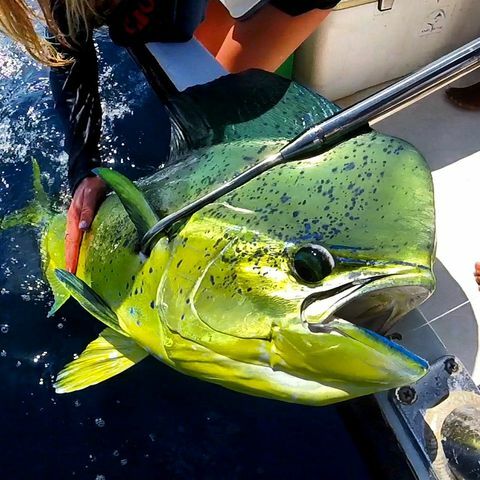 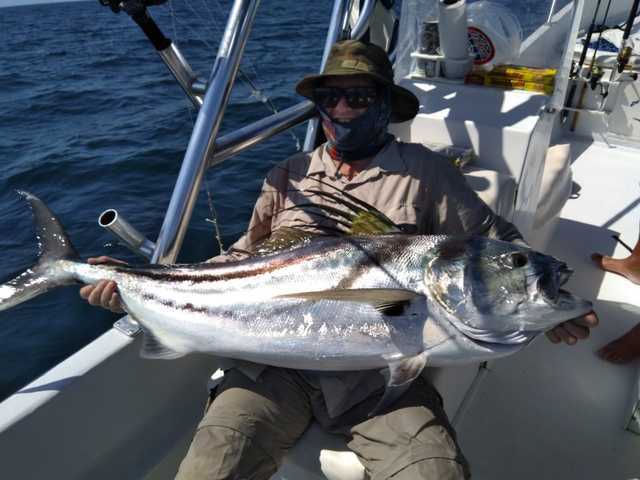 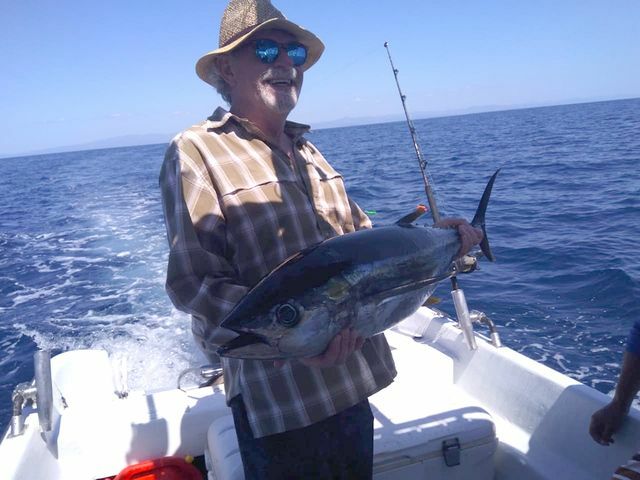 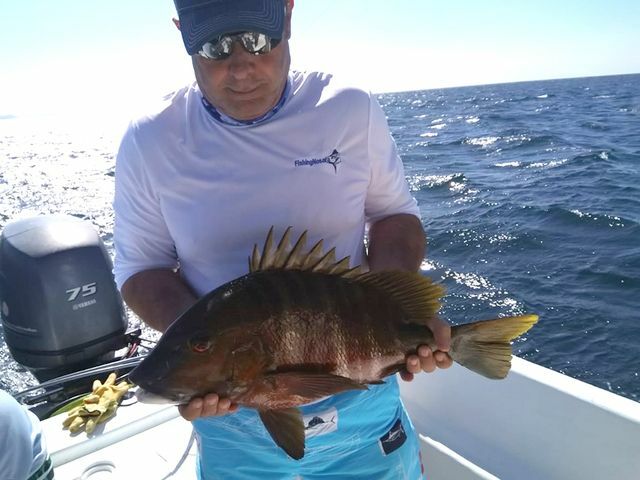 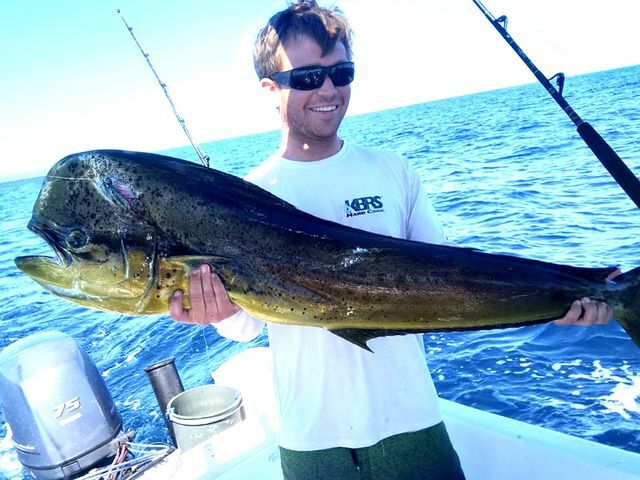 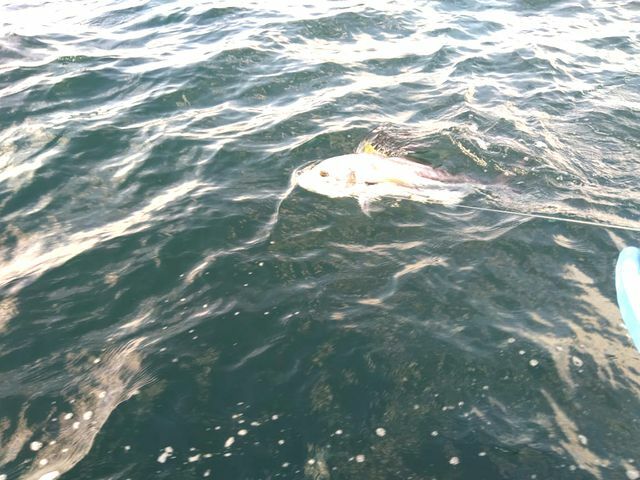 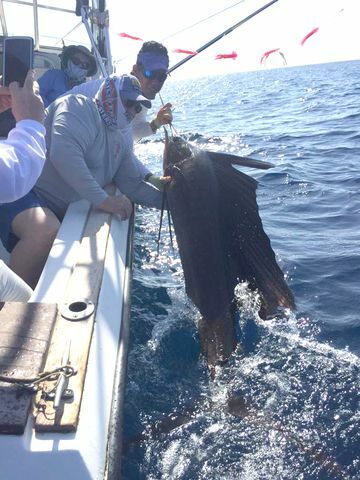 Estimated around 60lbs., this great looking pez gallo was safely released by Captain Fico. 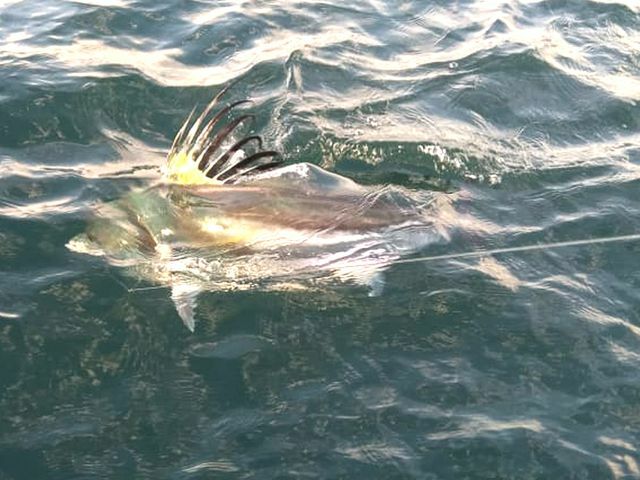 Another second Rooster Fish was also released. 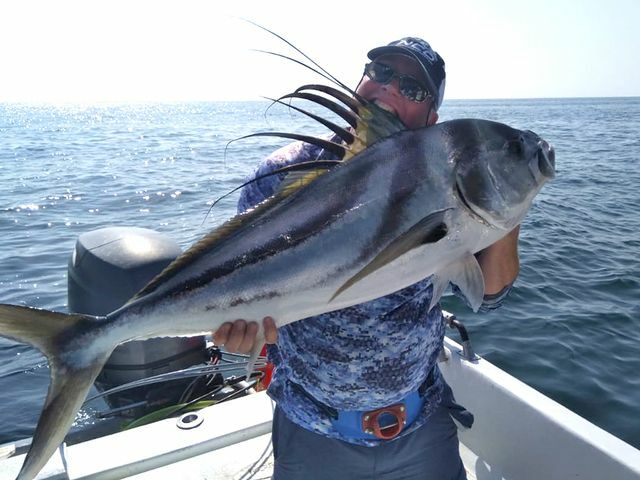 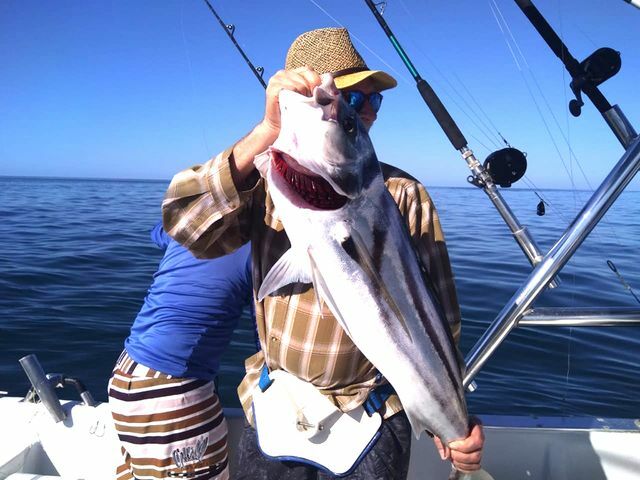 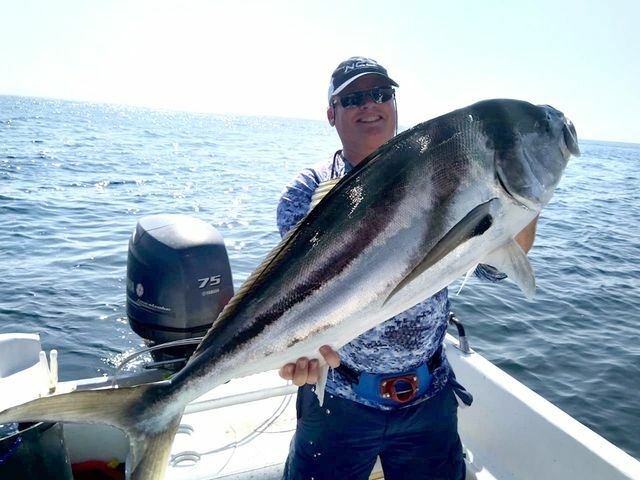 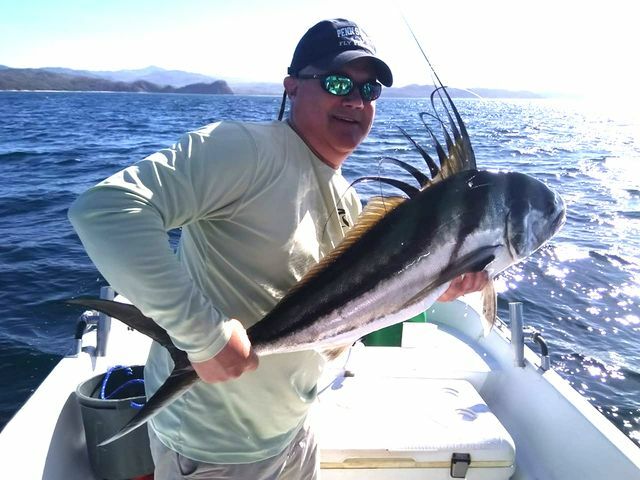 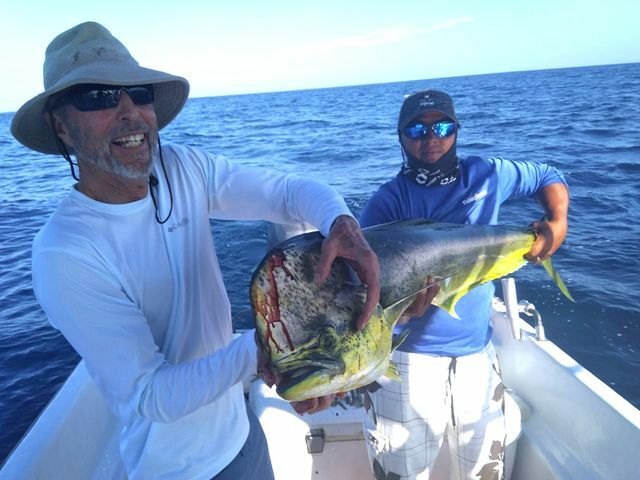 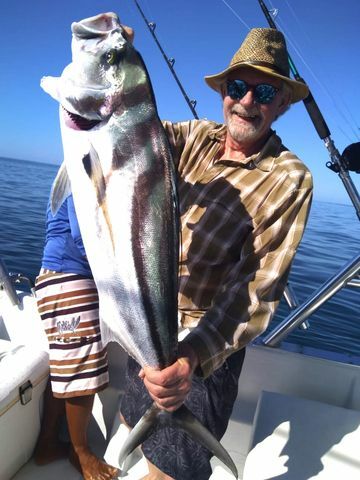 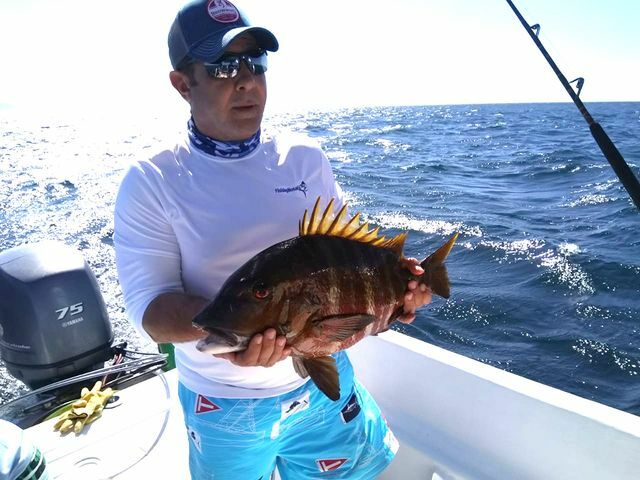 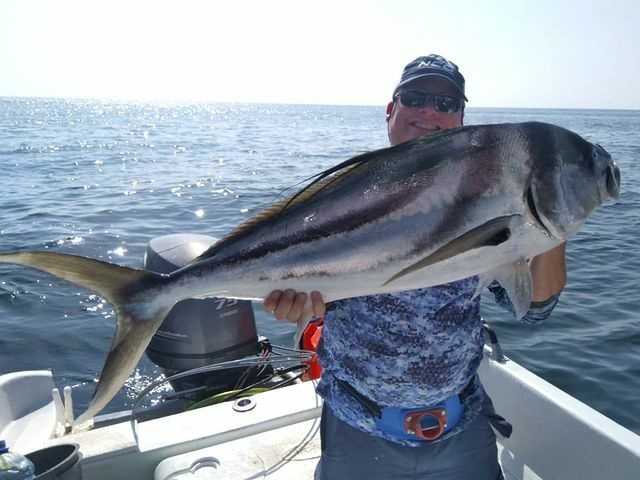 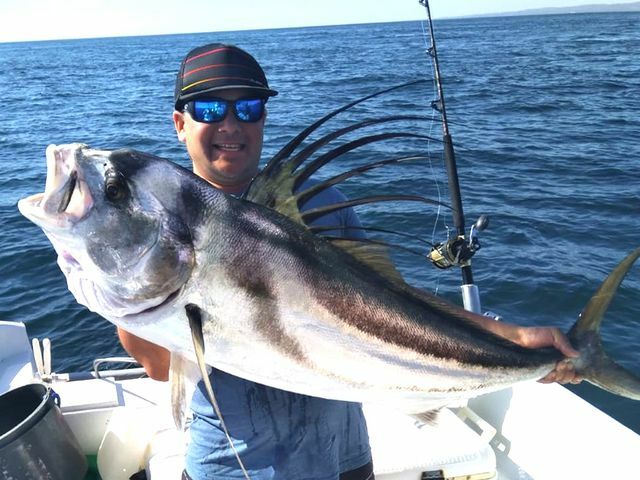 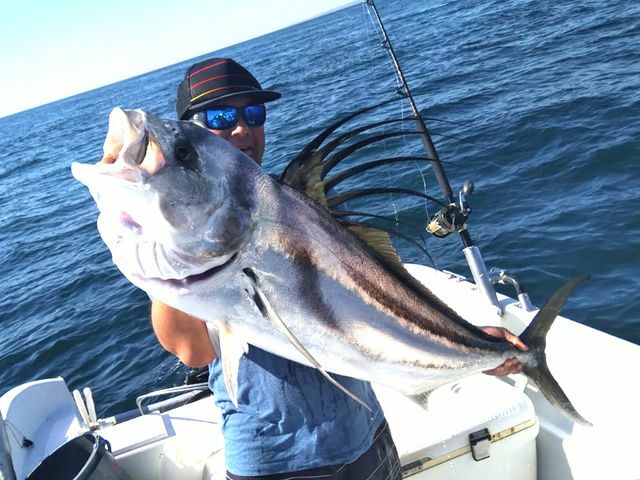 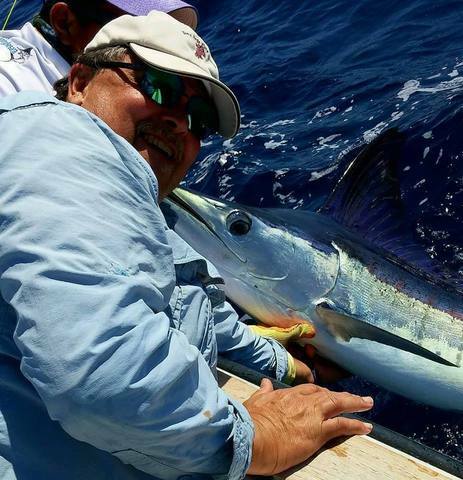 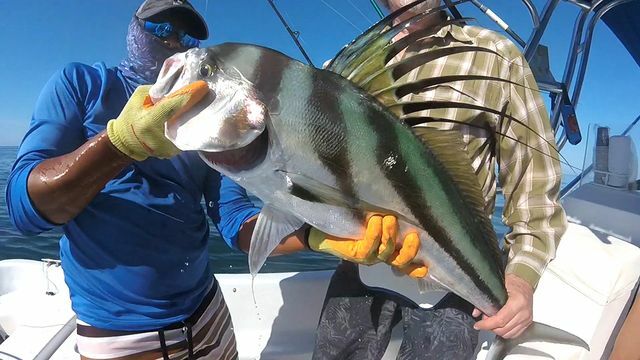 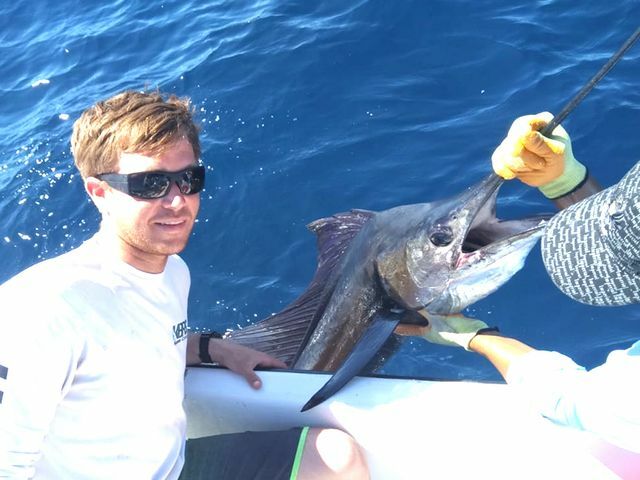 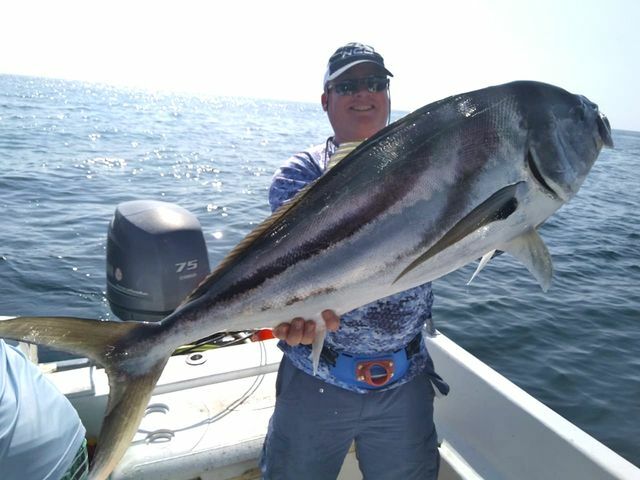 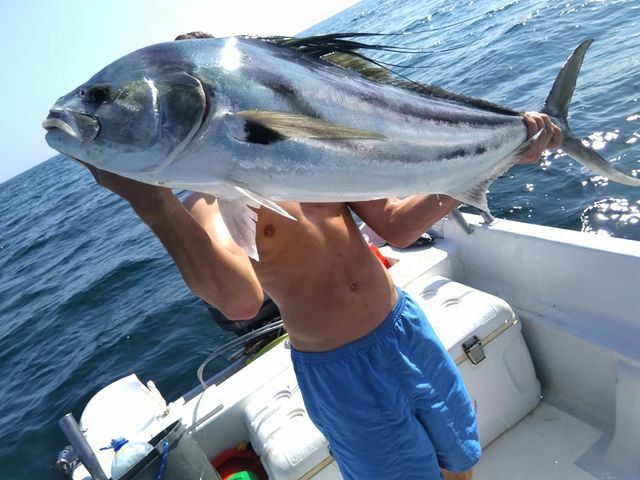 On the 14th, European angler Allan Riboe and his posse stayed inshore with Captain Fico and scored one of the nicest Rooster Fish releases of the season thus far. 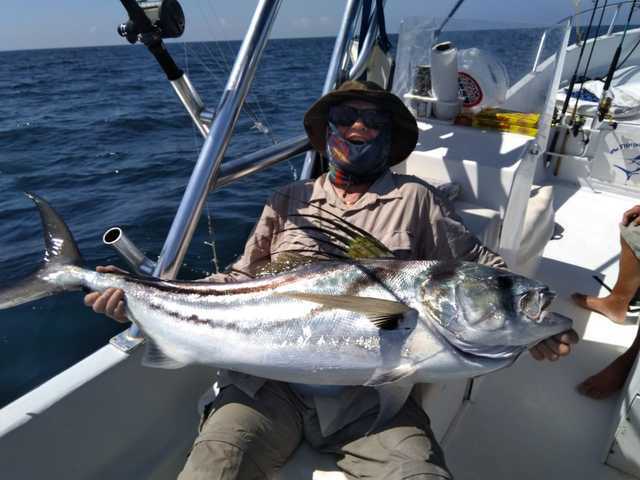 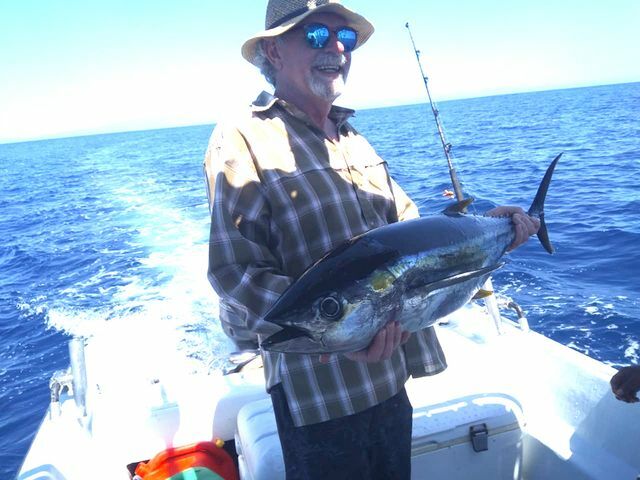 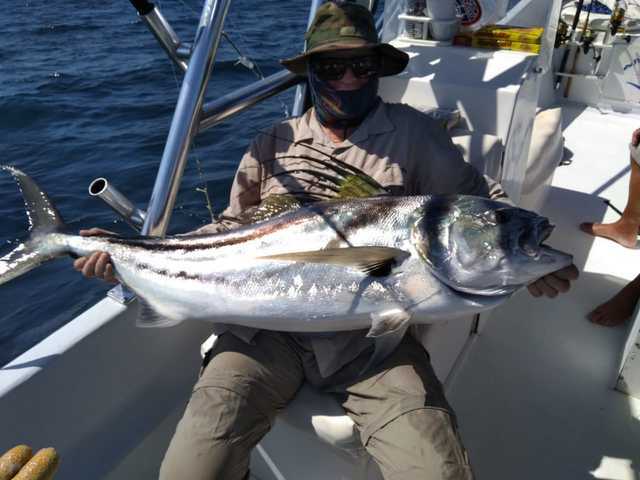 The Rooster Fish was the highlight of a trip that also included nice Dorado and Yellowfin Tunas for the filet bag. 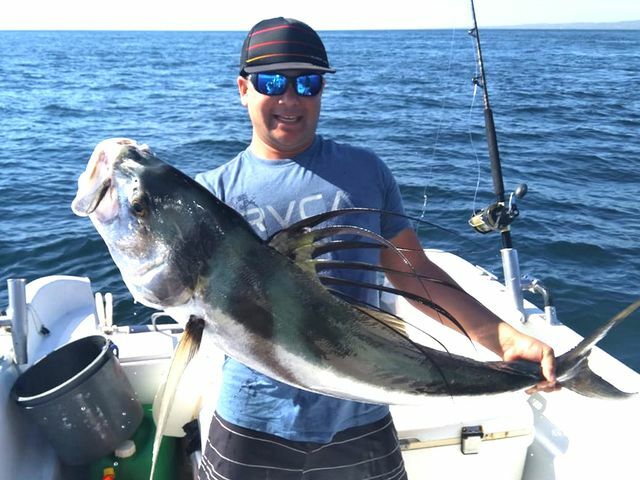 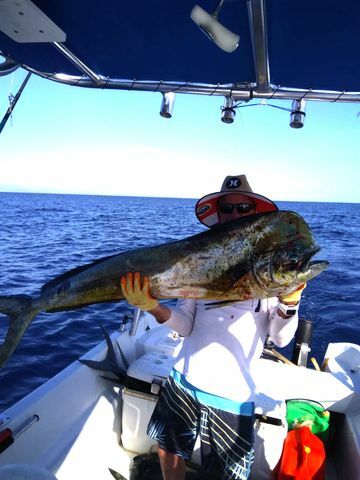 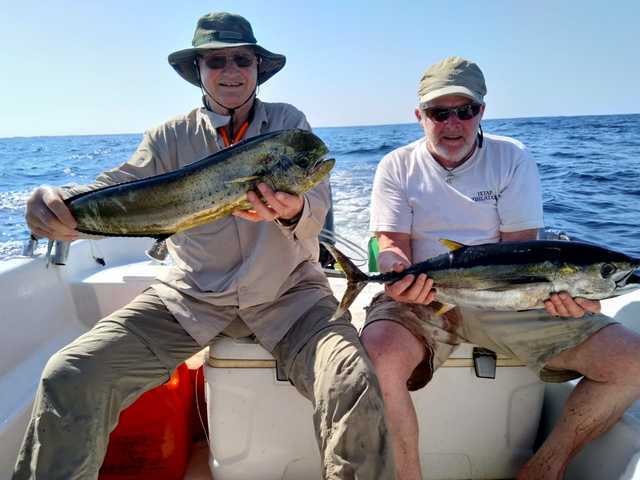 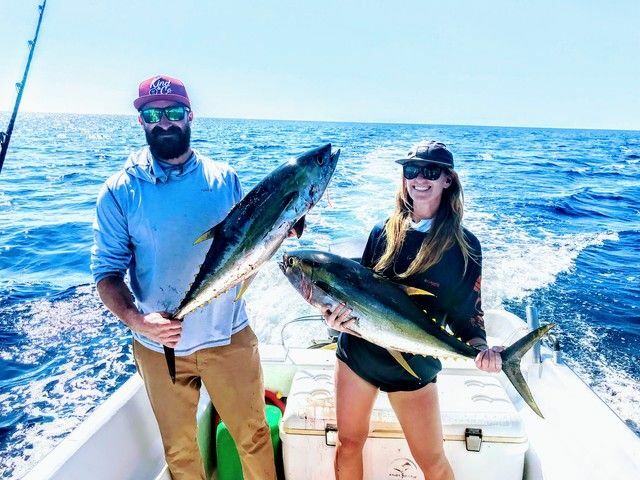 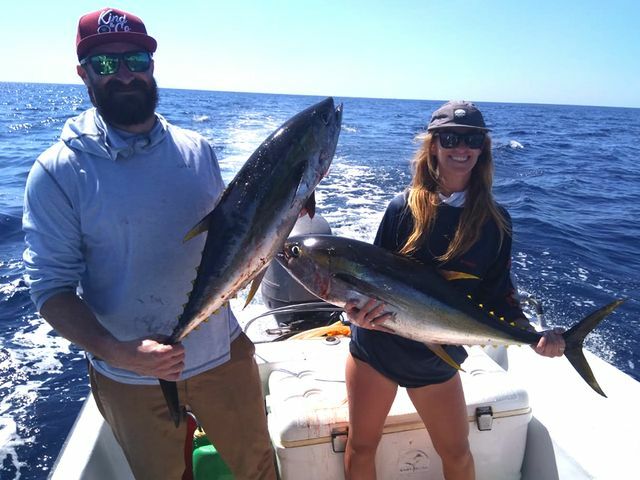 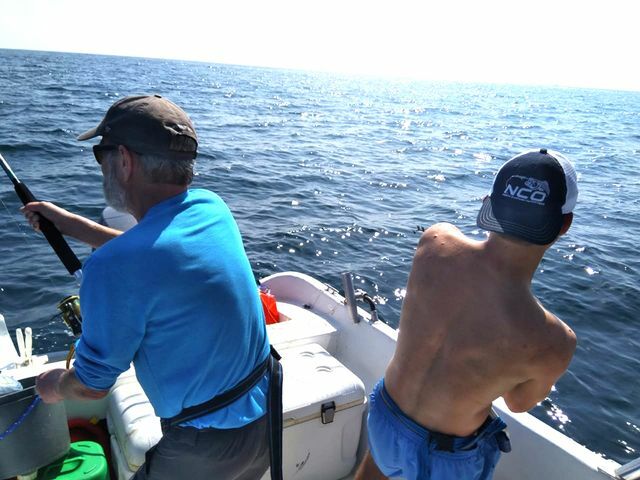 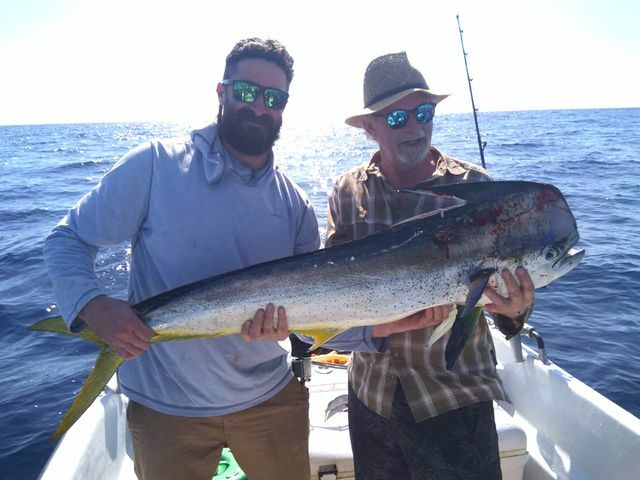 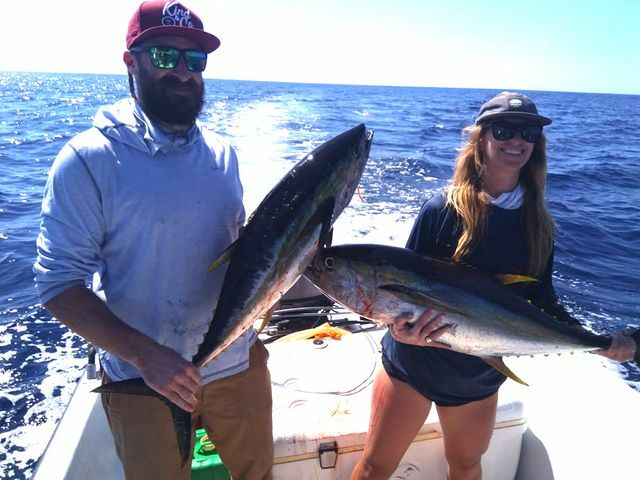 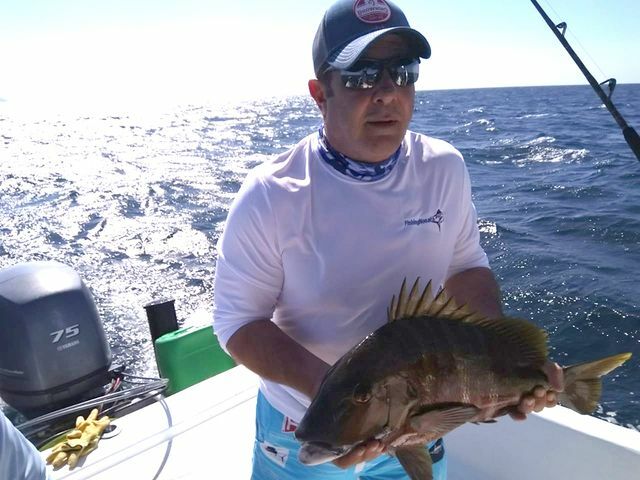 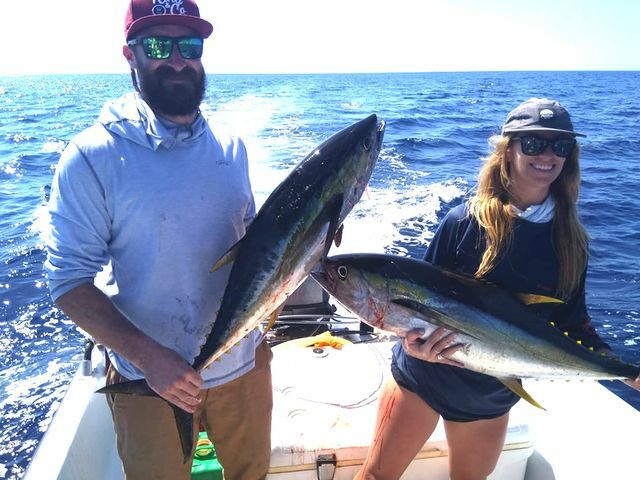 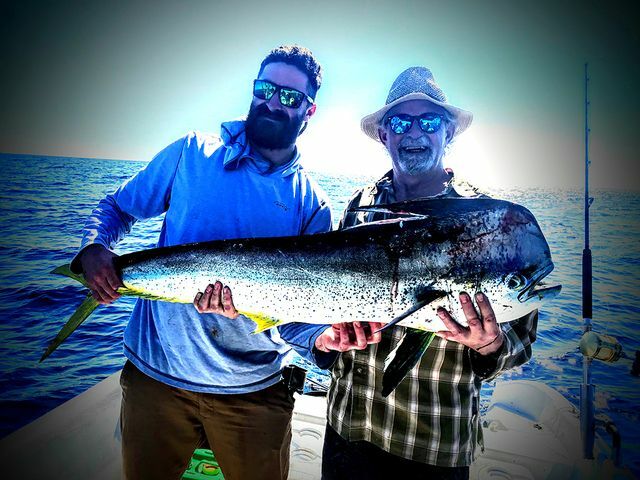 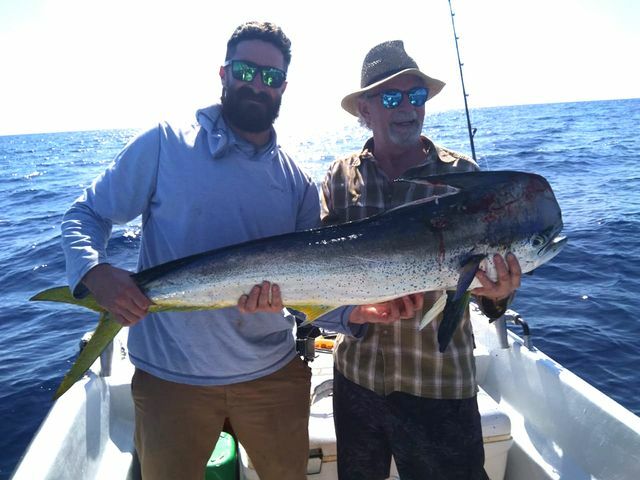 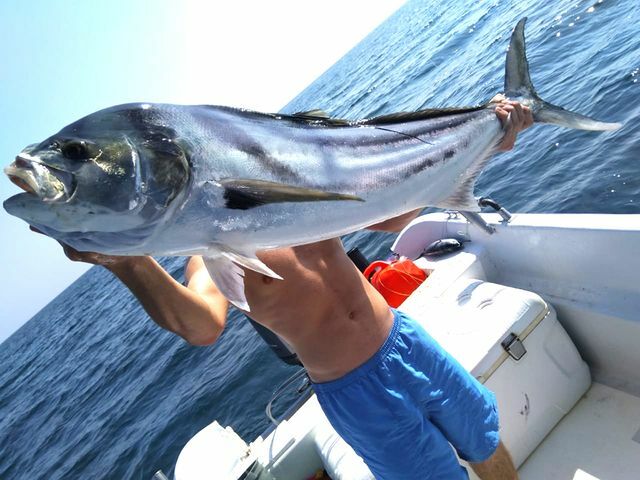 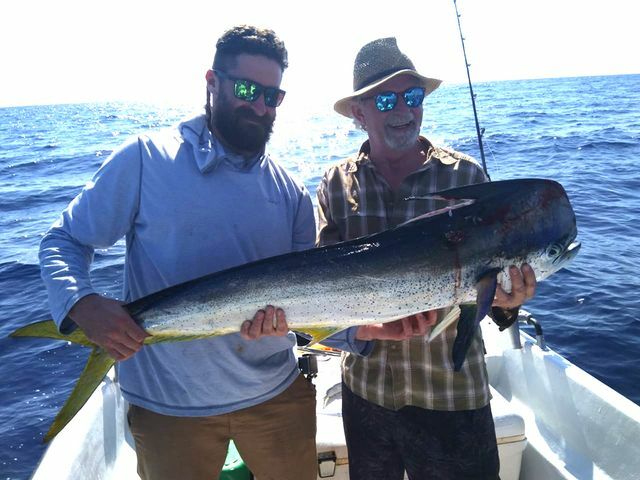 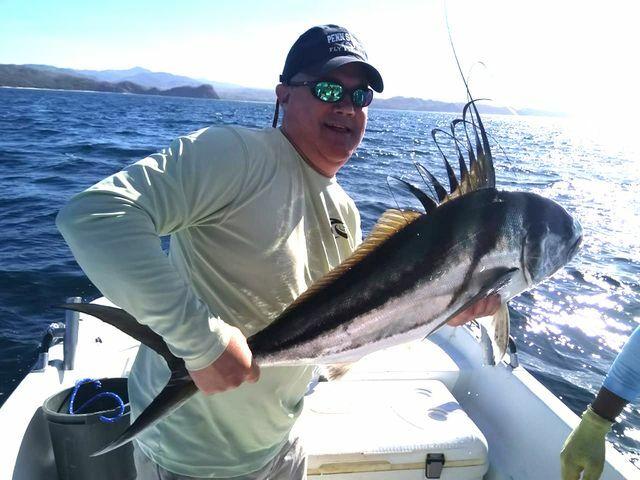 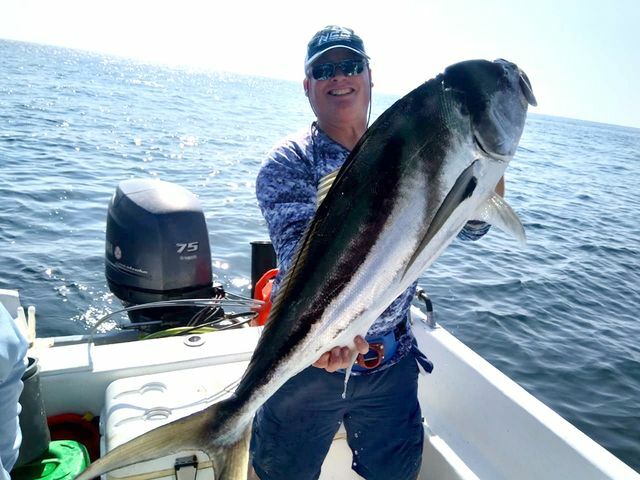 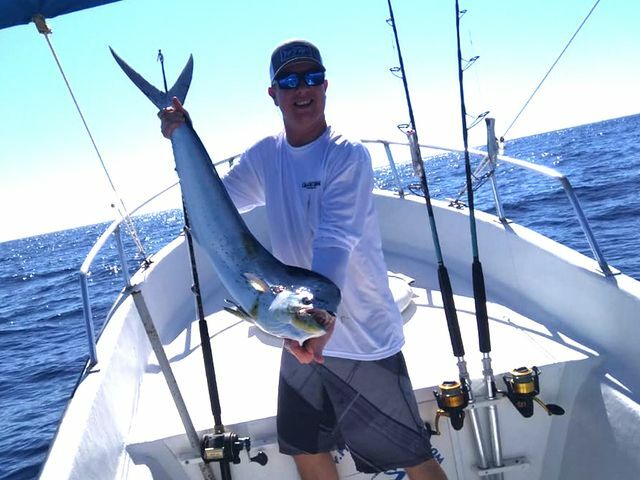 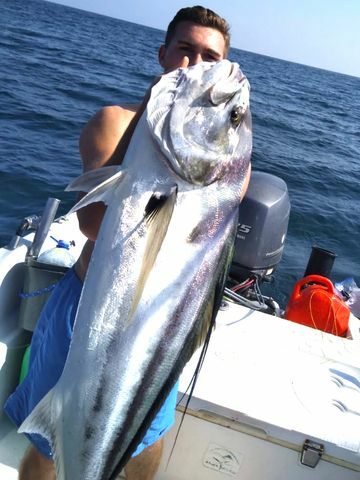 Jeremy Wallace and his friends put in big work on the Explorer with a gaggle of great catches reported by Captain Fico. 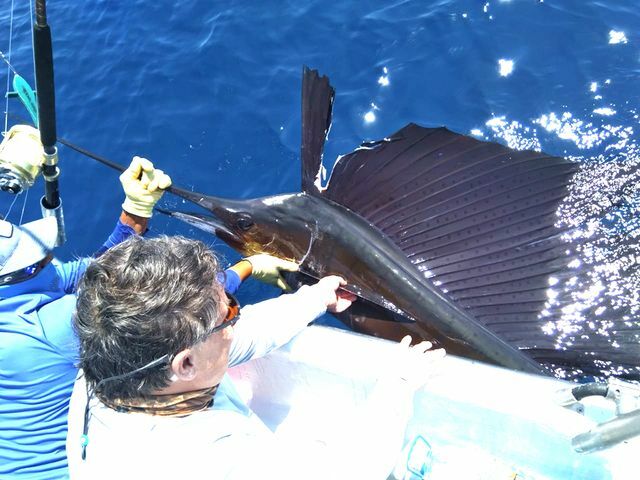 This Sailfish release was the highlight of the trip that also included this excellent Rooster Fish release. 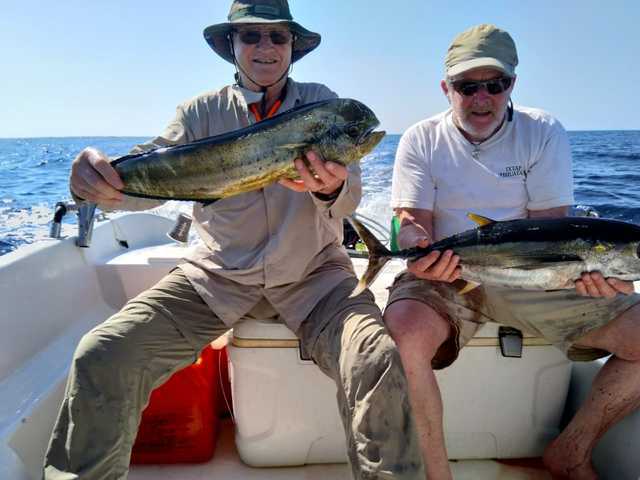 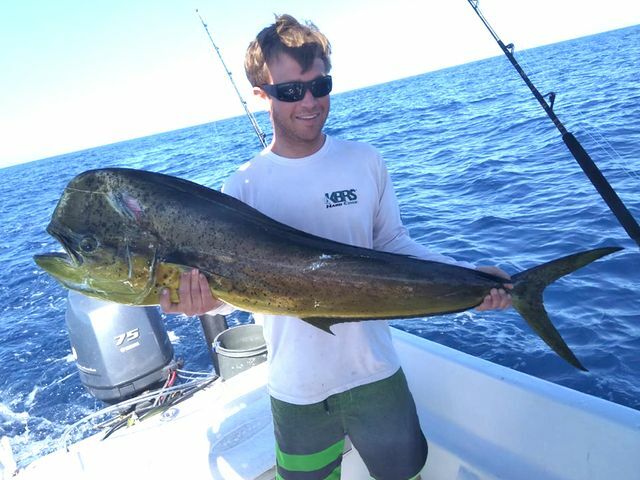 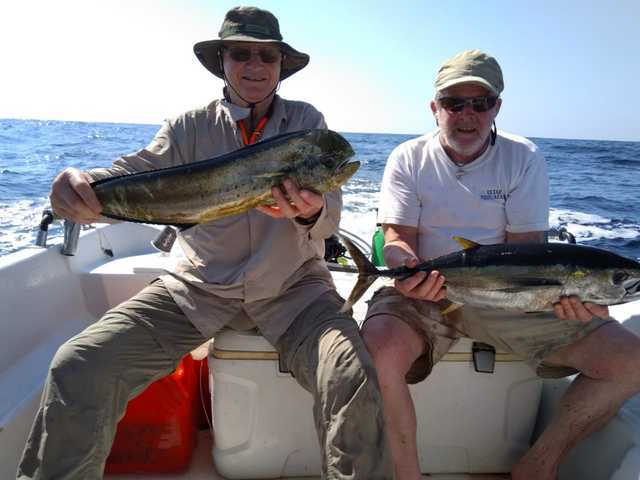 A big pile of Dorados rounded out the trip.